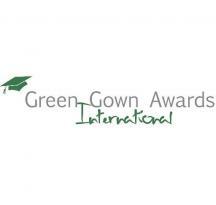 The International Green Gown Awards, supported by UN Environment, recognise exceptional sustainability initiatives being undertaken by universities and colleges. The Awards cover all aspects of educational institutions – from their teaching and research, leadership, buildings and food to how students can benefit the quality of life in the communities around them. The Awards provide the sector with benchmarks for excellence and are respected by Government, funding councils, senior management, academics and students.